Biomimesis is a serie of works that can be realized as site-specific installations, performances, multichannel compositions or something in-between. Custom-made software generates sound structures, which are based on ‘nature-inspired sound design’, models and processes. These sounds evolve in a spontaneous manner, they have not been composed, or follow any strict musical laws. 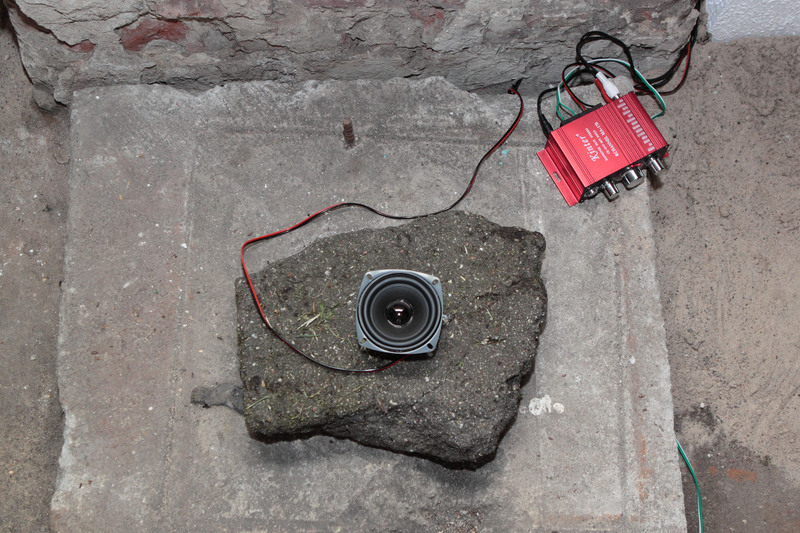 Rather, they simulate a soundscape of some acoustic everyday space — the one on the street, in a forest or elsewhere, where sounds, according to John Cage, ‘live their lives’. These ‘field recordings from nonexistent places’ without clear origin or context seem recognizable and familiar, evoking personal associations and cultural projections, yet in the same time alien, otherworldly and unidentifiable, blurring boundaries between what we consider natural and artificial. Listeners can ‘zoom’ in or out on various elements that make the whole soundscape, segregating or integrating them, discovering new details or subtle changes. Martins Rokis is working with sound and visuals in different contexts, forms, crossing boundaries between so-called computer music, psychedelic noise and abstract sound art, blending generative strategies with improvisation and also occasionally making sound installations or works for multichannel systems.